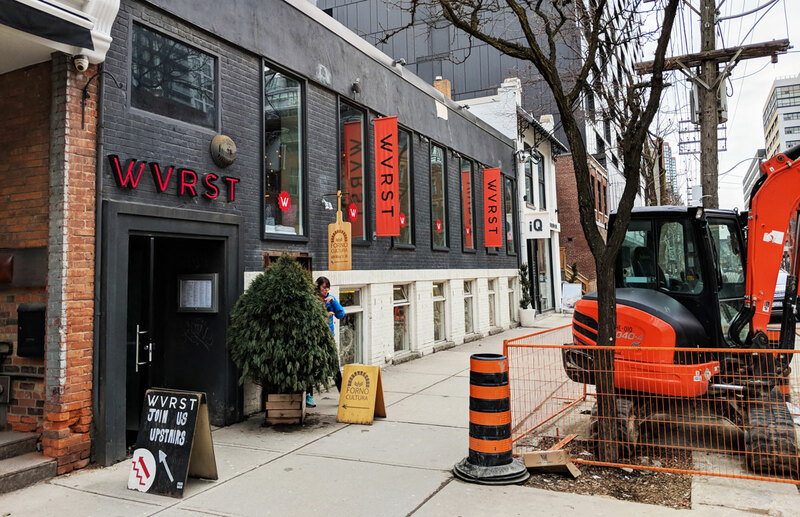 I tried Wvrst once, around when it first opened. It was good, but nothing about it really jumped out at me, so I never felt particularly compelled to go back. Well, I just found myself back there, and clearly I was wrong about the place, because the sausage I ate was probably one of the best that I’ve ever had. They have an intimidatingly long list of sausages on their menu. I got the Kaas: “pork/beef/parrano cheese/light smoke.” You can either get it on a bun or as currywurst. 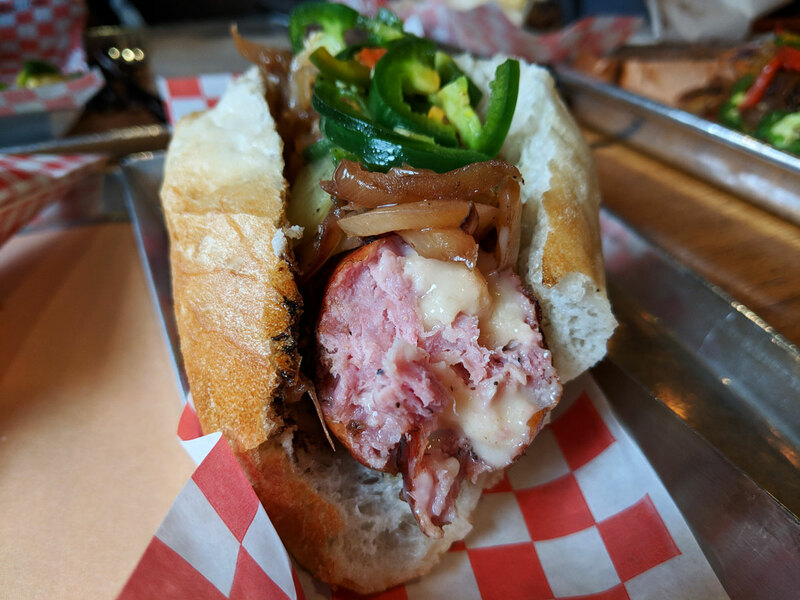 I went with a bun, and had it topped with sauteed onions and jalapenos. Oh man, that sausage. The texture was absolutely perfect. To me, the meat in a sausage needs to retain some of its essential meatiness; it shouldn’t have been ground into oblivion. It should still be sausagey, of course, but the texture should be more rustic than a hot dog. 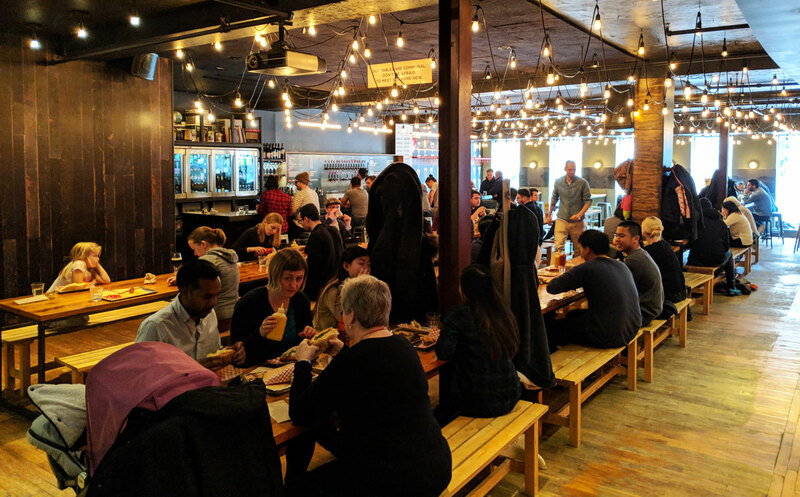 Wvrst absolutely nails this. And the flavour was great: meaty and smoky, not overly salty, and with surprisingly generous pockets of gooey, melty cheese. I was actually pretty blown away by how good it was. I got the duck fat fries on the side, and they were just as good. 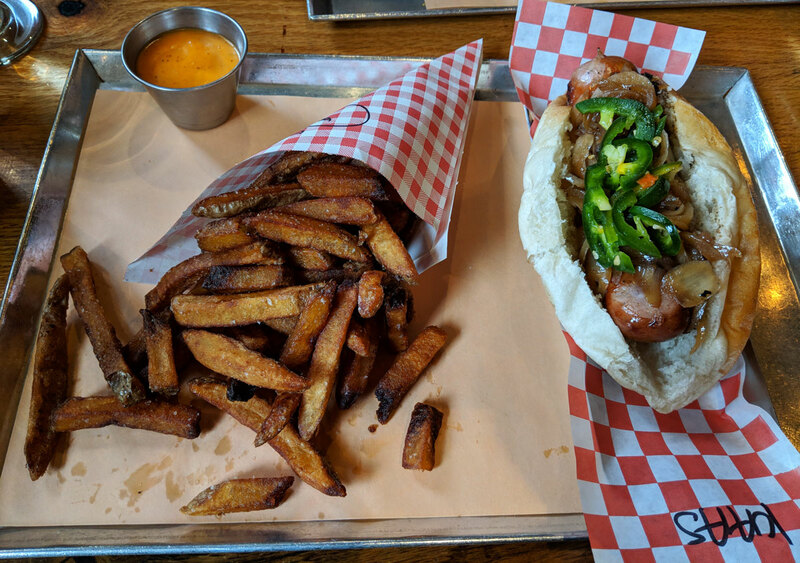 You could pick from a bunch of dipping sauces; I went with the Wvrst sauce (rule of thumb: if something on the menu is named after the restaurant, you should probably be ordering that thing). It was tangy and delicious, and complimented the fries perfectly. Next Nashville Hot Chicken at Porchetta and Co.